The cat’s out of the bag. Former Proteas captain Graeme Smith’s girlfriend, Romy Lanfranchi, is expecting a baby boy. Graeme recently spoiled Romy with a stork party, after which she took to Instagram to announce the baby’s gender. Former Proteas captain Graeme Smith’s girlfriend, Romy Lanfranchi, is expecting a baby boy. Graeme recently spoiled Romy with a stork party, after which she took to Instagram to announce the baby’s gender. Romy, a legal consultant from Cape Town, has two sons from her marriage to late husband Michel Lanfranchi. Graeme has a son and a daughter from his marriage to Irish singer Morgan Deane. The couple regularly have fun with their kids – and it looks as if the little ones can’t wait for their baby brother’s arrival. Graeme recently posted a photo on Instagram of him and their kids playing with Romy’s pregnant belly. Morning chats with bump ?? The couple, who’ve been dated since the beginning of the year, met through mutual friends. They had their first exclusive interview as a couple with YOU earlier this year. Romy regularly share pictures on social media of her, Graeme and the kids spending time together. She and Michel, a businessman, had been married for eight years at the time of his death in August 2013 of an aneurism. He was only 38 years old. Graeme and Morgan have been separated since December 2014. He’s mostly been keeping a low profile since the split. “Romy and I are enjoying the time we spend together and I am very happy,” Graeme has said in the past. And, judging by their pics on social media, it’s clearly the face of a man in love. 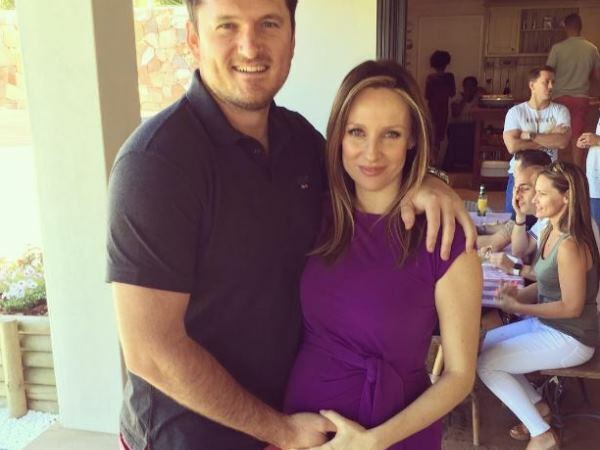 Graeme Smith to be a dad again!